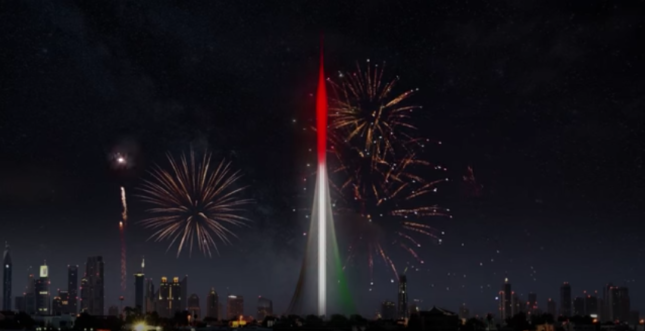 This week in Dubai, UAE officials and architects from Santiago Calatrava‘s firm broke ground on what will be the world’s tallest skyscraper. The Tower at Dubai Creek Harbour will rise 3,045 feet skyward when it is completed in 2020, at a cost of around $1 billion. 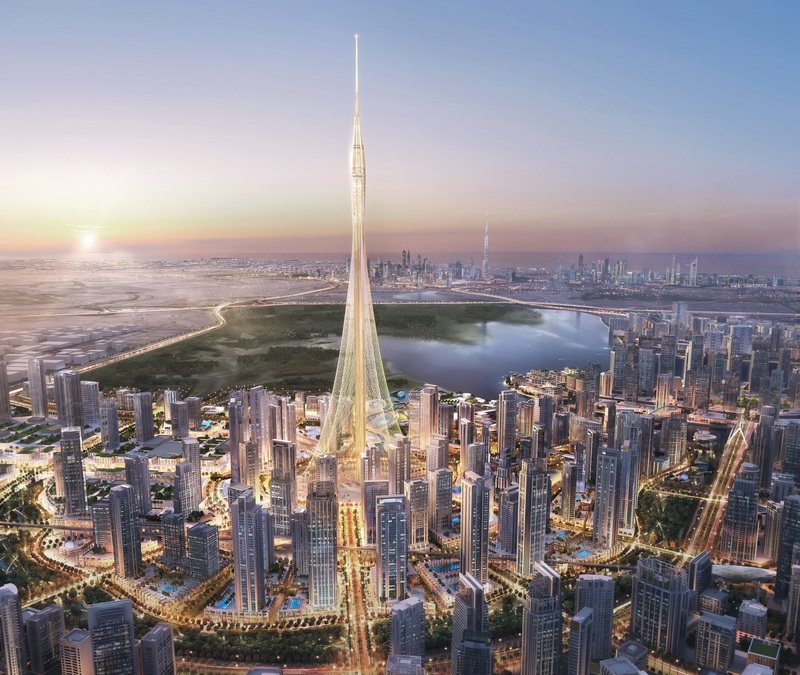 Departing zero percent from the bells-and-whistles approach so common to UAE mega-projects, the tower combines traditional Islamic architecture motifs with Calatrava’s signature white fish bones. Although renderings can deceive, the tower looks like Erte’s Venere In Pelliccia traded her dress for one from David’s Bridal, taffeta train and all. Flashy amenities are key to this tower’s appeal: Its pointy tip is devoted to something called the Pinnacle Room, a panorama viewing area that features VIP “garden decks,” or observation platforms. These and other decks rotate outward, providing additional viewing points. In some ways, Calatrava’s design recognizes the challenges of building densely in the desert: Water collected from the cloudbuster’s cooling system will be recycled to clean the facade, while strategically placed flora will shield the building from the harsh rays of the sun. As a downtown anchor, the tower’s main plaza will offer high-end retail (is there even another kind of retail in a project this size? ), education facilities, a museum, and an auditorium.